LAS VEGAS—Steve Wynn, chairman and CEO of Wynn Resorts, is betting big that the Las Vegas Strip is ready for theme park-style attractions and entertainment. A year after revealing expansion plans for a new entertainment destination built around a recreational lake concept, Wynn provided additional details on the project in a Q1 earnings call. Wynn Resorts’ board of directors approved the first phase of construction on Paradise Park, which will commence in December or January. It is expected to take a year to complete and is estimated to cost $400 million to 500 million. 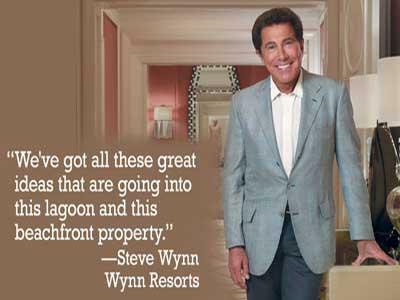 Paradise Park will be constructed on approximately 130 acres of real estate that currently houses the Wynn Golf Club. Phase one of the master-planned space will include an approximately 20-acre white sand lagoon, 4,000-ft. boardwalk, beachfront meeting and ballroom space, cabanas, food service and on-site attractions.